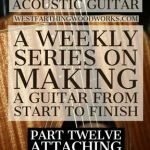 This week we will attach the back plate on the acoustic guitar in the guitar making series. 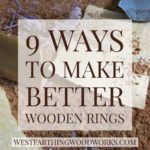 Then, I’ll share some tips for storing your wood clamps, and more for using a wood planer. Enjoy. In the How to Make a Guitar series, Part Twelve, I’ll show you everything you need to know to attach the back plate. 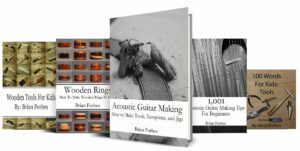 This is one of the more fun parts of making an acoustic guitar. This is where the instrument starts to look like something rather than a pile of parts. You finally get to see all of your hard work up to this point start looking like the instrument you want to play, and it’s a huge boost to progress. 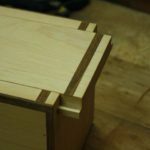 The process is fun, and I’ll show you a couple really good methods to get a nice seal without having to mess around with the parts too much. 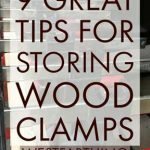 In 9 Tips for Storing Wood Clamps, I’ll show you several ways to store you clamps without making messes and taking up a ton of shop space. We all have a ton of clamps. If you don’t, just give it time. Over the years you accumulate lots of clamps, and eventually you need a place to put them all. This guide shows you how to store them, as well as a cool design for a clamp storage rack that you can modify to suit your space. 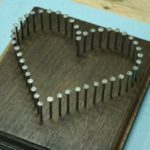 The design is really easy to make, and you can scale it perfectly to fit your exact set of clamps. The planer is one of the unsung heroes in the wood shop. It’s also one of those tools that beginners don’t tend to buy until way after they really need it. 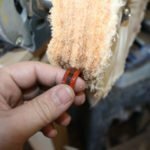 In 11 Killer Tips for Using a Wood Planer, I’ll show you a ton of great ways you can get a lot of use from this simple tool. After all, it just makes flat surfaces, so how cool could it be? That’s what I thought before I bought mine. 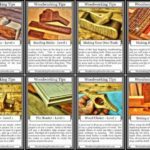 This is a great tool to have for a ton of great reasons, and it can make you a better woodworker right out of the gate. 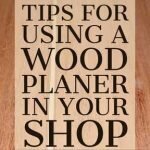 Stick around to find out why, and you will end up buying a planer by the end of the post. If you have any questions about this week in review, please leave a comment and I will be glad to answer them. Happy building.